Not many people knew his name when he first emerged in the national scene in 1981, being appointed as the Chairman of the Chinese Communist Party after Deng Xiaoping successfully purged the last remaining Maoist factions. Hu Yaobang's most remarkable feature was his height. He was even shorter than the diminutive Deng Xiaoping himself, leading to murmured jokes about Deng Xiaoping's selection process. Hu Yaobang quickly showed that he was quite a character of his own. Before ascending to the top of the national power, in paper anyway, he had worked diligently on behalf of Deng Xiaoping's efforts. In charge of the Party's personnel matters, he had spearheaded the campaign to rectify the millions of cases in which people were wronged during the Cultural Revolution, collecting valuable political capital along the way. There were many anectodal evidence that he had some personal involvement in the grass-root Democracy Wall Movement. Yet he was still best known for his work on the youth front. Having joined the Communist Party as a teenager, Hu Yaobang had always been in charge of the younger generation during the revolutionary years. It was during the years when he served as the head of the Communist Youth League that he built up a solid power base. 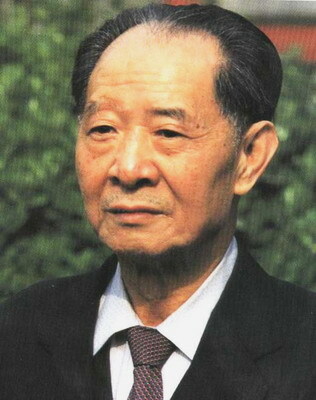 After the post of the Party Chairman was abolished in 1982, Hu Yaobang continued to serve as the nominal head of the Party as its General Secretary. He was responsible in dealing with the many ideological ambiguities that were arising from the great reform and generally kept an open mind. Indeed, his willingness to challenge both the authordox and the tradition often surprised most people. He advocated the abolishment of the "Mao Suit" and replaced it with western jacket and necktie as the official attire. He encouraged the youth to enjoy social dancing, albeit within the confine of officially approved dancing forms. He suggested the nation to give up eating with chopsticks. But above all, he publicly stated that Marxism did not have all the answers. Hu Yaobang's open-mindedness was seriously challenged during the 1980s as student movements started to emerge as a potent force for social change. He consistently maintained a policy of leniency toward the student trouble-makers, even though a movement during the fall of 1985 was perceived to be against him personally. It was the wide-spread student protests near the end of 1986 that finally did him in. He was forced to resign in January, 1987, for having failed to uphold Deng Xiaoping's famous Four Cardinal Principles. Hu Yaobang lingered on in the Politiburo for a couple of more years although his portfolio was diminished. By the spring of 1989, he was already a forgotten man. His death on April 15, 1989, however, awakened tremendous emotions within college students, who felt guilty for his fate. Within days, spontaneous marches in his honor appeared in the streets of Beijing and the magnificent movement of 1989 was underway. Because of his short statue, Hu Yaobang's feet could not touch ground when he sat in the chairs to deliver his enthusiastic speeches. He would always punches the air with his fist while his feet dangled. This cartoonish figure was often ridiculed as unfitting for an elder statesman. But Hu Yaobang would always remembered as a "young leader", despite the fact that he was already seventy-three years old when he died. His energy, kindness, and high-spirit masked his true age and, in the end, made him the rare annoying but endearing personality to college students and the populace at large.